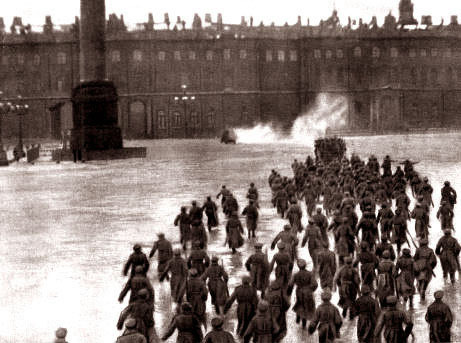 The Storming of the Winter Palace, filmed in Soviet Russia in 1920, is the triumphant reunion of two halves of a single film that were separated sometime in the last 90 years. Staged in 1920, the film was a giant, all-night, full-square spectacle that involved more than 2,500 participants: workers, soldiers, and actors (and the entire cast of the former Imperial Ballet). It attracted, despite the weather, more than 100,000 spectators. The film was both a boldly grotesque avant-garde endeavor and an exercise in heroic iconography to become firmly imprinted in films and history books about the October Revolution.